I can’t believe it’s October already?! What an incredible summer this has been for me. Dreams have come true and I’ve made some great friends along the way ! 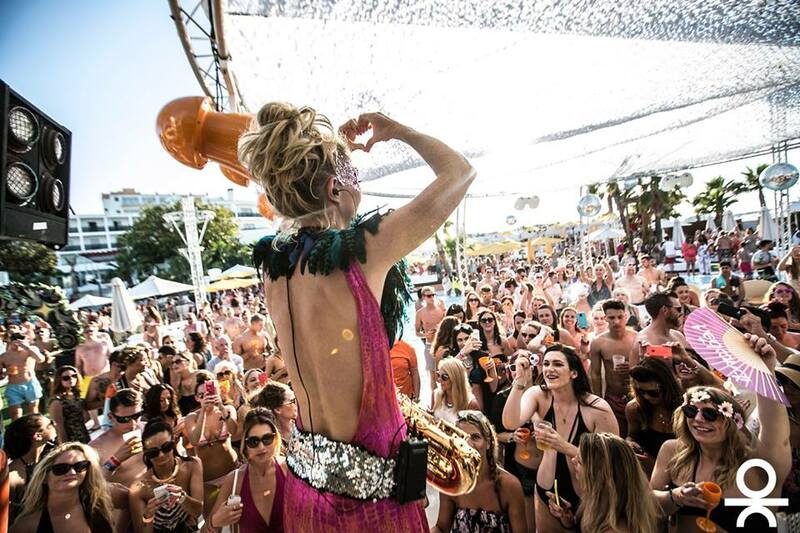 My number one highlight of Ibiza 2015 has to be the opening of our Hed Kandi pool party at O Beach Ibiza! I had absolutely no idea until the morning of our first party back in June that I would be starting my show hidden inside a giant lotus flower whilst dangling from a crane! I must have been crazy to say yes, but after the huge success of this we realised this would have to be my permanent entrance into the venue every Monday. I will never forget the overwhelming roar from the crowd when the flower opened for it’s very first time (so loud it actually cut out the sound system!) It was a moment that I will never forget, I was truly touched by the welcome. Thank you to everyone who came to our Monday parties this year, they were such a huge success and you guys helped to make them so much fun. This summer also saw my first shows at Pacha (a dream come true) playing with Klingande for Bob Sinclar’s Paris By Night parties. As many of you know a video of me playing KLINGANDE’S TRACK ‘JUBEL‘ at O Beach Ibiza went viral last summer which resulted in Klingande and myself hooking up to play together. Never did I think we would end up playing four dates at Pacha this season, but we did – and they were explosive. Not only this but we had another Facebook video of us go viral (playing together this time) at our pre-party for Mambo which you can see HERE. We hit 2.5 million views within two weeks which is still growing towards 5 million. I have since learned this was a record for Mambo this summer, so high fives all around! Another dream of mine for a very long time has been to play ‘Man With The Red Face’ with Mark Knight himself, who along with Funkagenda created their distinctive remix of this inspirational track by Laurent Garnier. Could Ibiza 2015 possibly grant me that wish too? Sure as hell it did AND on the Space terrace too with Mark for the closing of one of the legendary Carl Cox nights! Talking of closing, my husband (Ben Santiago) and I also had the privilege of playing the final closing set of the season for Cream on the Amnesia terrace. How lucky?! Just writing this blog I’m having to pinch myself to make sure I’m telling the truth! haha !! I can honestly say it has been an unforgettable summer and hopefully just the beginning of some great new things to come but bost importantly I really want to say a huge thank you to everyone who came and partied with us this summer. Without you the parties would be nothing! Thank you also for giving me some of the best memories ever…. I can’t wait to see you all back on the dance floor again in 2016!